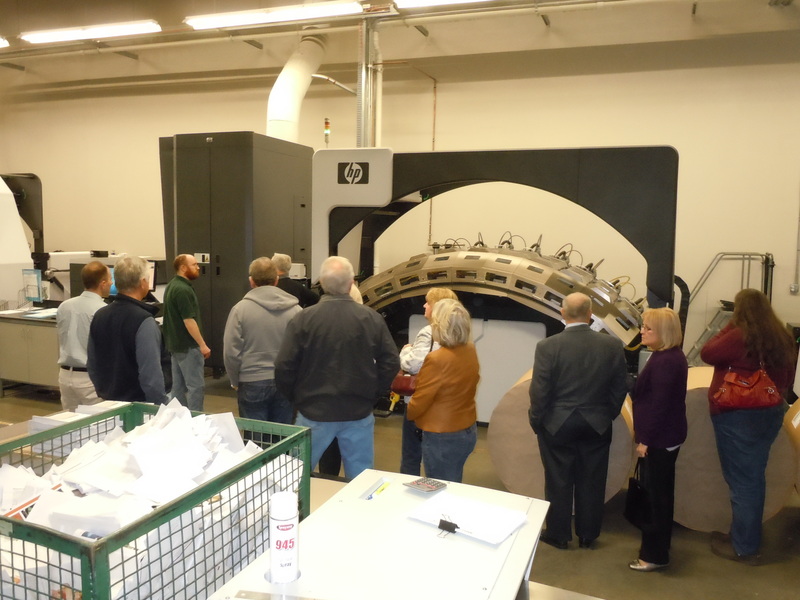 CIPA’s January Focus Forum on Jan 20 was all about digital printing, as 32 CIPA members toured Frederic Printing in Aurora, (a division of CGX Publishing) saw their very big digital web press, the HP T200 and learned about printing options for their books. Finished print jobs await cutting and binding. Printing your book on a digital web press allows you to print 1 to 900 books for a set price per book. It’s still a higher unit price than if you used an offset printing press, but you can spend less money for printing up front and not have to store boxes of books in your garage. 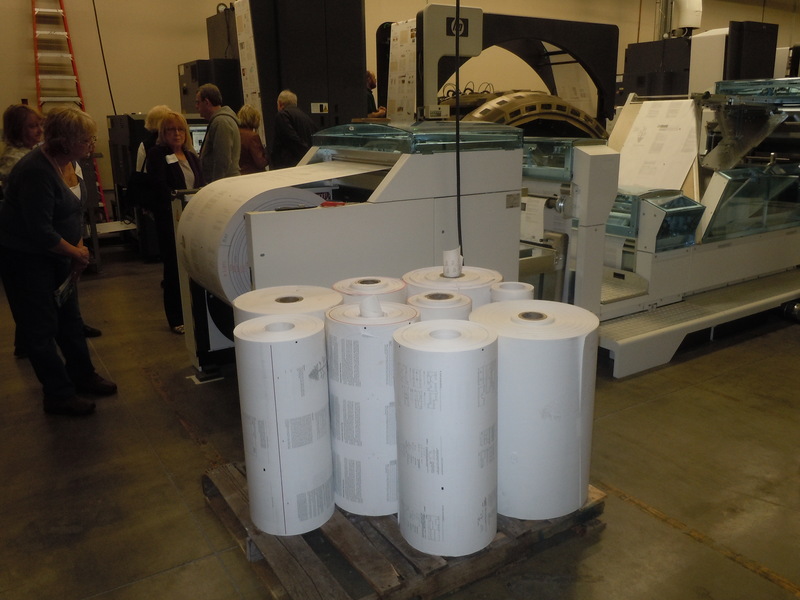 Producing books on digital presses has been around for a few years. But Frederic’s HP T200 Inkjet Web Press is fast and versatile.